Michael Brosseau and Jose Estrada homered for Waynesboro, but the Generals couldn’t overcome a rough start from Robert Pearson in a 10-6 loss to the Harrisonburg Turks Friday night. At the halfway point of the 2015 Valley League season, the Waynesboro Generals have three home runs. As a team. For emphasis: three. Tyler Howe pitched six strong innings, and leadoff man Clayton Taylor had three hits for the Waynesboro Generals in a 6-3 win at New Market Thursday night in Valley League baseball action. Matt Horkey gave up two hits in seven scoreless innings, and Waynesboro took advantage of sloppy Covington defense in the middle innings to break open a scoreless game, coasting to a 9-2 win in Valley League baseball action Wednesday night. Augusta Free Press editor Chris Graham leads a live in-game blog during tonight’s Waynesboro Generals vs. Covington Lumberjacks Valley League baseball game. First pitch is at 7 p.m.
A ninth-inning Waynesboro Generals rally Tuesday night in Staunton never officially happened. Waynesboro scored a run and had the tying run on third with one out, but then the rains came, and at the end of the shower the game was called, the final score being Braves 4, Generals 2. Last place is lonely, but it doesn’t quite define the depths for the 2015 Waynesboro Generals, who are still very much in striking distance in the Valley League with a lot of baseball still to be played this summer. 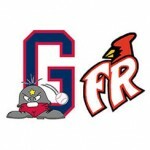 Front Royal battered Waynesboro pitching for 21 hits, and Corey Sessions limited the Generals to six hits in a complete-game effort in a 14-1 Cardinals laugher Sunday night at Linco Park at Kate Collins Field. Augusta Free Press editor Chris Graham leads a live blog during Sunday’s Valley League baseball game between the Waynesboro Generals and the Front Royal Cardinals. Kevin Doherty, starting left fielder, national champion. 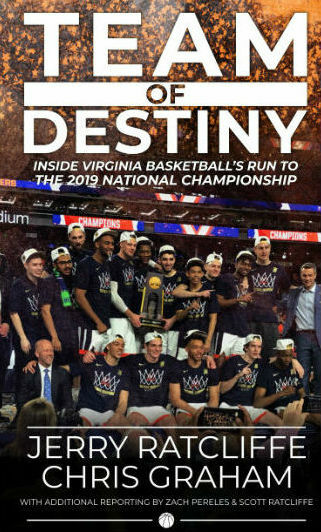 It hasn’t set in yet for the rising UVA fourth-year. A Drew Johnson seventh-inning home run broke a 5-5 tie and lifted Strasburg to a 6-5 win over the Waynesboro Generals on Friday night. 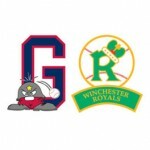 The Waynesboro Generals scored four runs in the bottom of the 11th to stun the Winchester Royals, 9-8, in Valley League baseball action on Wednesday at Linco Park at Kate Collins Field. Tentatively, all Waynesboro Generals home games from June 24 -28 will be free admission to all fans thanks to the game night sponsors for those nights. For the second time in four nights, the Waynesboro Generals bullpen couldn’t hold a 4-1 eighth-inning lead, and Charlottesville walked off in the 12th with an RBI single from Brian Fortier to record a 5-4 win Tuesday night. The Waynesboro Generals have five (5) Game Night sponsorships remaining for the 2015 season. A Nate Blanchard grand slam keyed a six-run New Market fourth, and the Rebels coasted from there to a 13-5 win over the Waynesboro Generals Monday night. 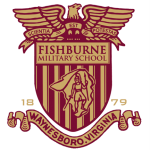 Fishburne Military School is using its sponsored Game Night with the Waynesboro Generals to invite youth from the community to come out to the ballpark for a great night of baseball action. Harrisonburg scored five runs in the top of the first, but the Waynesboro Generals made a game of it late before losing 6-4 to the Turks on Sunday before 600 fans at Linco Park at Kate Collins Field. 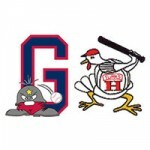 The Waynesboro Generals (6-6) host the Harrisonburg Turks (7-5) in Valley League baseball action on Sunday at Linco Park at Kate Collins Field. First pitch is at 7 p.m. Augusta Free Press editor Chris Graham leads our live in-game blog. Covington scored four runs in the bottom of the eighth to stun the Waynesboro Generals, 5-4, Friday night in Valley League baseball action. Waynesboro rallied for three runs in the bottom of the seventh with a good bit of help from the Staunton Braves bullpen in posting a 5-3 win in Valley League baseball action on Thursday. The Waynesboro Generals (5-5) host the Staunton Braves (9-1) in Valley League baseball action on Thursday at 7 p.m. at Linco Park at Kate Collins Field. Augusta Free Press editor Chris Graham leads our live blog with score and situational updates, commentary, analysis and more. Waynesboro Generals coach D.J. King was tossed from Tuesday’s game with the Charlottesville Tom Sox for arguing with the home-plate umpire. 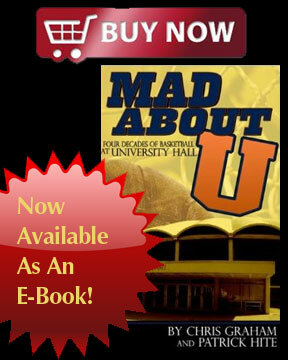 And yes, getting tossed from a game – and getting hit with a four-game suspension as a result – is a bad thing. Waynesboro Generals coach D.J. 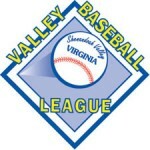 King and players Joseph Estrada and Kevin Phillips were handed suspensions by the Valley League on Wednesday following ejections from Tuesday’s game with the Charlottesville Tom Sox. Talk about a team in need of a moment. The Waynesboro Generals needed that ninth inning Tuesday night. A wild night in Waynesboro ended with a three-run bottom of the ninth and a walkoff on a pop-fly single by Shane Dressler that gave the Generals a 5-4 win over the Charlottesville Tom Sox on Tuesday night in Valley League baseball action at Linco Park at Kate Collins Field. 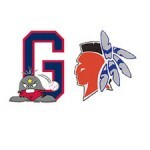 The Waynesboro Generals host the Charlottesville Tom Sox in Valley League baseball action Tuesday at 7 p.m. at Linco Park at Kate Collins Field in Waynesboro. Augusta Free Press editor Chris Graham leads a live blog with score and situational updates, commentary, analysis and more. Staunton benefitted from two Waynesboro errors in a sloppy third inning to score five runs, and that proved to be the difference for the Braves in a 10-6 win over the Generals on Monday night at Linco Park at Kate Collins Field. The Waynesboro Generals host the Staunton Braves Monday at 7 p.m. at Linco Park at Kate Collins Field in Valley League baseball action. Augusta Free Press editor Chris Graham leads a live blog during the game with score and situational updates, commentary, analysis and more. Matt Hartman pitched six scoreless innings, and Harrisonburg rode a four-spot in the second to an early lead that stood up in a 7-2 win over the Waynesboro Generals on Sunday night at Linco Park at Kate Collins Field. 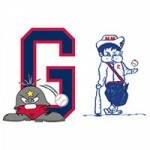 The Waynesboro Generals host the Harrisonburg Turks Sunday at 7 p.m. at Linco Park at Kate Collins Field. Augusta Free Press editor Chris Graham leads our live blog with score and situational updates, commentary, analysis and more. Tyler Howe held New Market to two hits in seven scoreless innings, and the Waynesboro Generals bullpen pitched out of a jam in the eighth in a 2-1 win Saturday night at Rebels Park. Augusta Free Press editor Chris Graham interviews Brett Sasse and Stephen Pitarra on their roles in the Waynesboro Generals 3-2 win over the Covington Lumberjacks on June 12. A Stephen Pitarra walk-off RBI single gave the Waynesboro Generals a 3-2, 10-inning win over the Covington Lumberjacks Friday night at Linco Park at Kate Collins Field. The Waynesboro Generals (2-3) host the Covington Lumberjacks (2-4) in Valley League baseball action Friday at 7 p.m. at Linco Park at Kate Collins Field in Waynesboro. Augusta Free Press editor Chris Graham leads our live blog with score and situational updates, commentary, analysis and more from the diamond. Five Waynesboro Generals alums from the 2013 and 2014 Valley League championship teams were selected in the 2015 MLB Draft this week. A four-run Staunton third erased an early Waynesboro lead, and the unbeaten Braves held off a ninth-inning Generals rally to post a 6-5 win in Valley League action at John Moxie Memorial Stadium Thursday night. Kris Neil interviews Waynesboro Generals coach D.J. King and players Clayton Taylor and Imani Willis after Waynesboro’s 6-5 win over the Charlottesville Tom Sox on June 10. Clayton Taylor hit the 12th pitch of a seventh-inning at bat into the trees in right-center for a go-ahead homer, and the Waynesboro Generals held on for a 6-5 win over the Charlottesville Tom Sox Wednesday night. The Waynesboro Generals host the Charlottesville Tom Sox in Valley League action on Wednesday at 8 p.m. at Linco Park at Kate Collins Field. Augusta Free Press editor Chris Graham leads our live blog with score and situational updates, commentary, analysis and more. A fourth-inning Steven McLean sacrifice fly broke a 4-4 tie, and two Turks relievers made it hold up in a 5-4 win over Waynesboro Tuesday night at Veterans Memorial Stadium. Waynesboro Generals coach D.J. King talks with Augusta Free Press editor Chris Graham after Waynesboro’s 6-4 loss to New Market. A throwing error on a ground ball in the top of the 10th allowed two New Market runs to score, lifting the Rebels to a 6-4 win over the Waynesboro Generals Sunday night. The Waynesboro Generals host the New Market Rebels at Linco Park at Kate Collins Field Sunday at 7 p.m. Augusta Free Press editor Chris Graham leads a live blog with scoring and situational updates, commentary, analysis and more from Waynesboro. The two-time defending Valley League champion Waynesboro Generals rolled to a 10-3 season-opening win over the Covington Lumberjacks Saturday night.